So... suddenly the world is interested in almond milk. You can find it at most coffee shops and even the non “health food” stores carry it. As an infrequent cow's milk-drinker, I really do appreciate this increase in accessibility. Most of us have probably found ourselves roaming the grocery isle, overwhelmed by options, only to reach for the most catchy packaging -- but as you pursue the selection of almond-beverages, have you ever thought to look beyond the clever packaging and actually read the ingredient label? Unfortunately, the increase in accessibility does not necessarily coordinate with an increase in awareness. The more I started incorporating almond milk into my life, the more I grew curious… how much of this beverage is actually ALMOND and what are the other ingredients? Up until this point, I had assumed that is was a simple combination of almonds and water… not quite. It appears that most store-bought almond milk contains less than 3% almonds, while the rest is water and a strange combination of thickening agents and preservatives. If that works for you, carry on, this may still be your best option! 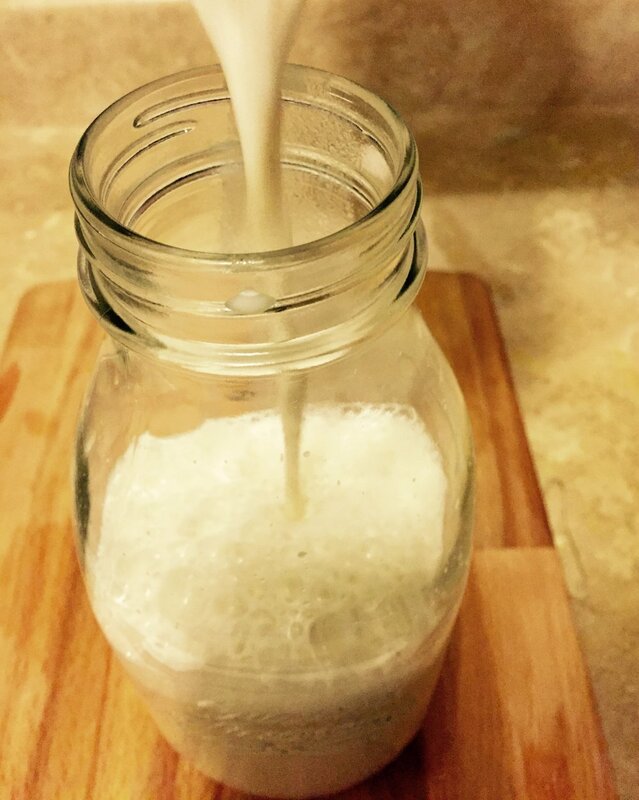 BUT, I promise that this recipe for Honest Almond Milk is far simpler than you may have imagined. It is also the best way to ensure that you know exactly what ingredients you're putting in your body. 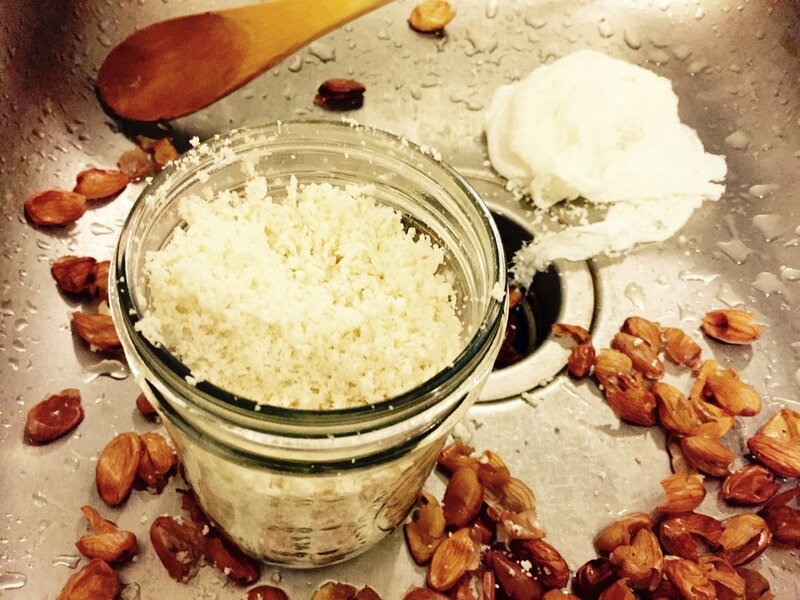 Dispose of almond pulp or save it in the fridge for up to 2-3 days as an addition to cookies, pancakes or quick breads. This quantity normally lasts me for about three days. I prefer to make it in relatively small batches more frequently. This way, it is much more manageable to clean up and store. Also, because it does not contain preservatives, I like to make an amount that I can reasonably consume. I have found that a 1 almond: 4 water ratio works for me. If I’m really trying to stretch my budget, I will even do 1 almond: 6 water! If you don’t mind a grittier beverage or don’t have a lot of time, try skipping the straining step. I find that when using almond milk for cereal or even golden milk, I like it with a little more texture. When using dates, it is nice to soak them in hot water for a couple minutes to help soften them up and caramelize the flavor a little. You are here because it’s time to activate your full body awareness and to cultivate routines and practices that invite you to truly thrive. Take yourself on a healing journey with our online wellness courses, or connect with an Ayurvedic practitioner by scheduling a private consult. It's time to truly thrive. Enter your email address to receive FREE wellness tips delivered to your inbox! Awesome! We can’t wait to share all the goodness with you!